In February 2017 Noah debuted his 9th comedy special “Afraid of the Dark” on Netflix. The special was shot before a packed house in New York City at the Beacon Theatre. 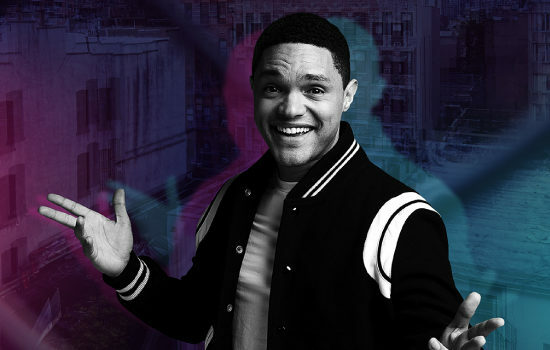 In 2016, Noah debuted his one-hour stand-up special, Trevor Noah: Lost in Translation, on Comedy Central. Noah was the subject of David Paul Meyer’s award-winning documentary film “You Laugh But It’s True” which tells the story of his remarkable career in post-apartheid South Africa. His Showtime comedy special, “Trevor Noah: African American” premiered in 2013. He was nominated for “Personality of the Year” at the 2014 and 2015 MTV Africa Music Awards and won the award in 2015. Trevor’s success has also spanned to sold out shows over 5 continents.